For Strictly Come Dancing fans, the sun is setting on one of the most memorable and popular pairings from the show - Vincent Simone and Flavia Cacace. 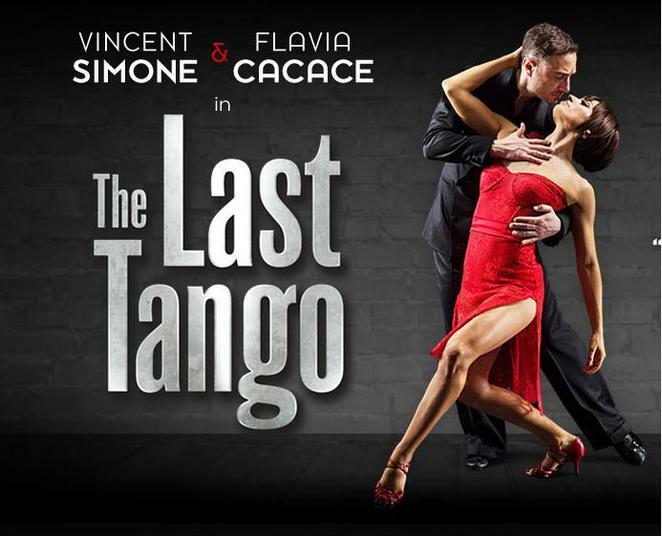 Britain's best-loved dance duo are to perform together for the final time during The Last Tango UK Tour, which visits theatres across the country from Scotland to Southampton, including Birmingham Hippodrome , Oxford New Theatre and Stoke on Trent Regent Theatre. Fresh from their acclaimed Midnight Tango, the Strictly superstars are heading off again on this 33 week theatre tour. Vincent and Flavia have promised that this will be their "most moving production yet". They have spent 20 years dancing together, during which time they were crowned World Argentine Tango Champions and created their own Olivier Award nominated West End productions. With Flavia recently married to actor Jimi Mistry (who she met when partnered with him on Strictly Come Dancing) and Vincent a family man, the dancers have decided it is time to say a fond farewell to their stage partnership. Speaking about the final show, Flavia said; "We have had such a fantastic time creating and dancing in Midnight Tango and Dance 'Til Dawn. It's an incredible experience to perform live in front of our wonderful audience night after night, but all good things must come to an end. Flavia adds: "We're creating our final ever theatre show. It's going to be intimate, intense and full of our award-winning Argentine tango. "The Last Tango is going to showcase our best work and most beautiful dance moves before we finally say farewell to theatre." Vincent, who became a household name with his partner after appearing on Strictly Come Dancing with partners including Rachel Stevens and Natalie Cassidy, said he has fond memories of dancing with Flavia. Vincent said: "The last few years have been amazing – we've loved it. It may be our final theatre tour but we're going to go out with a bang! This is going to be our best show yet!" The Last Tango is directed by Olivier Award winning choreographer and director Karen Bruce and produced by Adam Spiegel Productions. The show will tour from September 2015 until July 2016. Tickets are priced £18.50-£45 and are available from the The Last Tango Tour website or individual theatres listed below. Tue 22 - Sat 26 Sept - BIRMINGHAM Hippodrome - 0844 338 5000. Mon 26 - Sat 31 Oct - DARTFORD Orchard Theatre - 01322 220000.